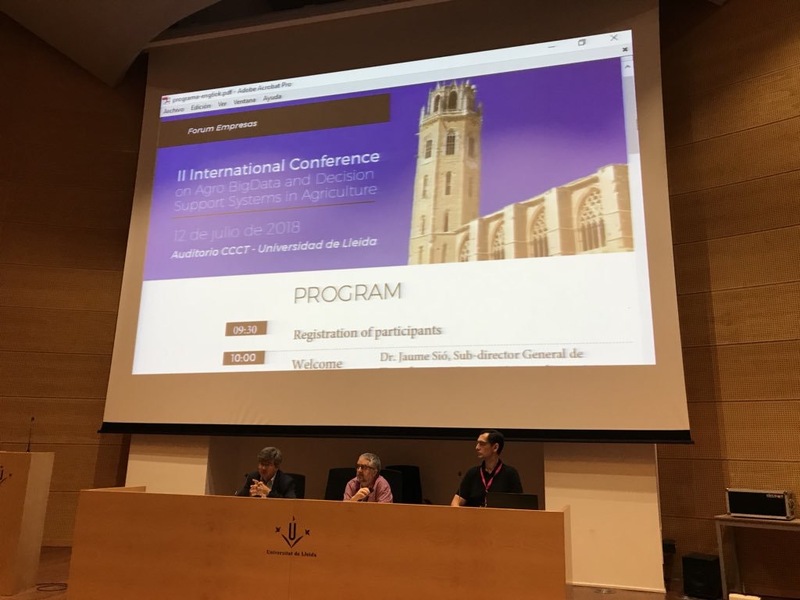 FEMAC Collaborated with the University of Lleida, and EUERECAT Reserach Center in organizing, the BigDSSAgro conference , devoted to decision support systems in agriculture, which combine models, databases and algorithms to support many real-world decision-making problems. The access to cheap sensor technology, drones, climate data and forecasts, satellite information about soils, humidity and more is provoking a revolution with the irruption of Big Data and opening the door to the development and application of novel optimization and simulation models in Agriculture and the Agri-food industries. The main question to solve is how to transform the huge amount of data into useful information to decision-makers. Current applications cover a wide range of different areas, from food production or animal welfare to sustainability or climate change impact; and they are expected to still increase in future. The scope of the conference includes findings on established andnew Operations Research, Big Data and Analytics methods ineffective decision-making applications in Agriculture and in the Agri-food industry, including their supply chain, and also problems in Forestry and in Environment studies.